News from the founders and creators of MONObank not cease to amaze. This time is really cool solutions for wealthy citizens of Ukraine. 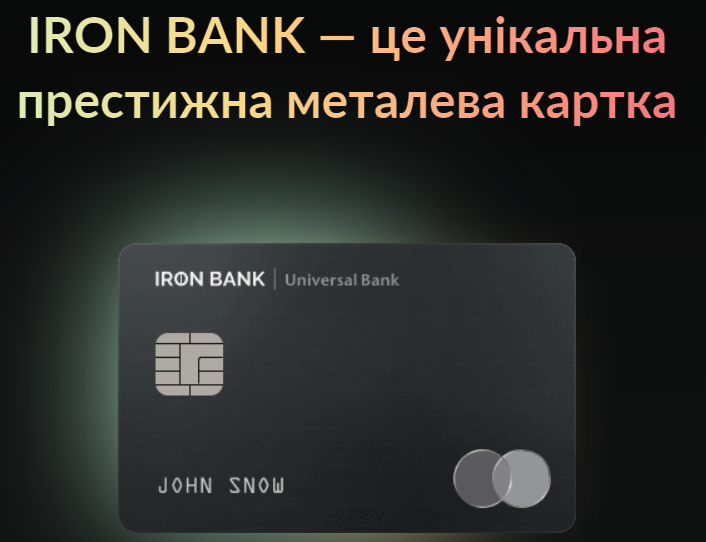 At the beginning 2019 year ("January and February") Monobank plans to release metal VIP-card Iron Bank, c miles in airports. Probably counting on entrepreneurs, who make weekly business flights. The first railway map with NFC will have customers, who opened a deposit of not less than 400 000 UAH, $20 000 or € 20 000. Card service for customers with deposits will be free. But, Bank says, that the cost of one card is 4 000 UAH. 1. Card MasterCard World Elite level. 2. Earn miles for buying tickets. 20 miles for every spent 1000 UAH. Restriction - 20 000 miles per month. 3. Access to business lounges in airports around the world. Service is also available in the Fast Line Terminal D «Boryspil» - will be no queue to check in, their baggage, go through passport and customs control. 4. Hour individual support (concierge service). Monobank – the first Ukrainian bank without branches.